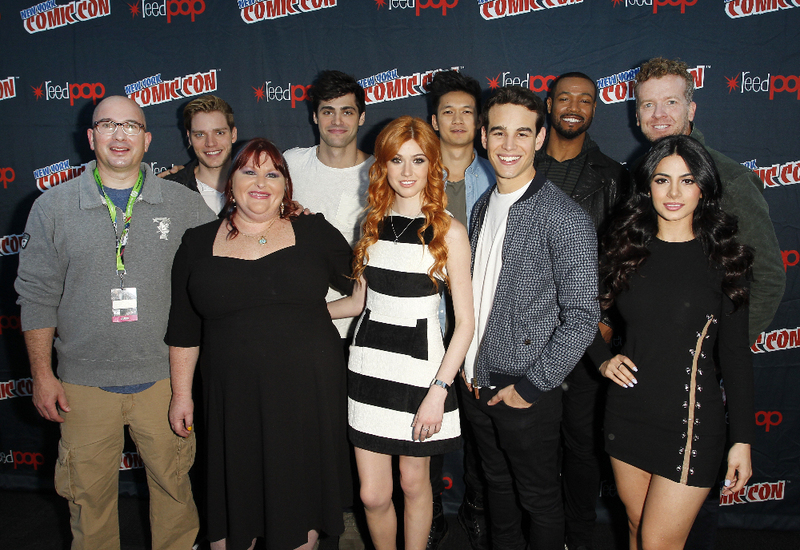 As Shadowhunters gears up for its January 2016 premiere, the cast and crew of the ABC Family/Freeform new series hit up New York Comic Con on Oct. 10, where they debuted new footage from the pilot episode and participated in a Q&A with fans. We chatted with the cast of Shadowhunters at New York Comic Con, where they dished on all things Shadowhunters. Check out our interviews, which feature Katherine McNamara, Dominic Sherwood, Matthew Daddario, Harry Shum Jr., Alberto Rosende, Emeraude Toubia, Isaiah Washington, producers McG and Ed Decter, and Cassandra Clare. The tv show so far is really bad. The books are the best thing I have ever read though. The actors are great too, but the stupid producers are changing everything and not even keeping the biggest plot twists. Each episode feels like I’m watching a clip that is less than 5 minutes. The latest episode is so badly screwed up, and to be honest it’s sad considering that the movie for this great show failed miserably. I am very sorry to say that I don’t believe that this show will make it past season 1 unless they restart from the beginning. Again the actor fit the roles almost perfectly and are great at their job. I just hope better producers will decide to redo this show with some of these actors, and finally get it right.